Seborrhoeic dermatitis. 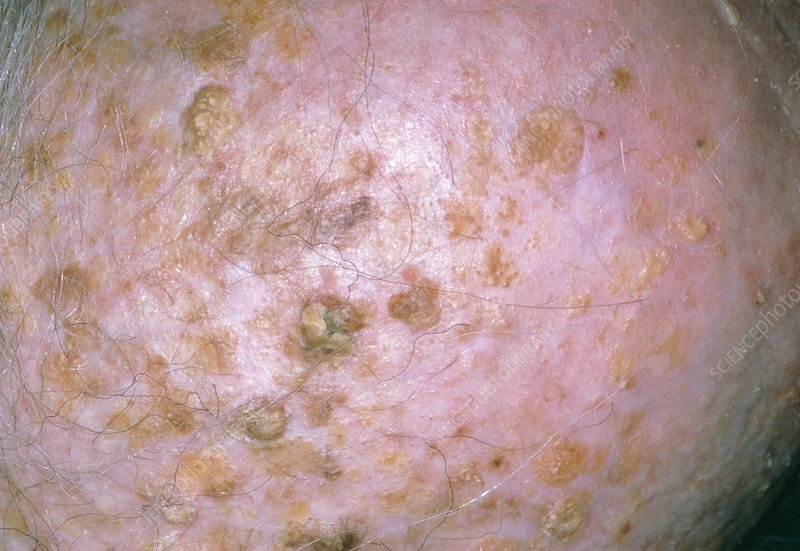 Close-up of the scalp of an elderly person suffering from seborrhoeic dermatitis. This condition is often a cause of severe dandruff. It causes an itchy scaly rash which may occur on the face, chest and back as well as the scalp. The yellow, moist dead skin scales are due to the overproduction of sebum, the secretion of the sebaceous glands that reaches the skin surface through small ducts that lead into the hair follicles. Treatments include anti- dandruff shampoos or corticosteroid creams.